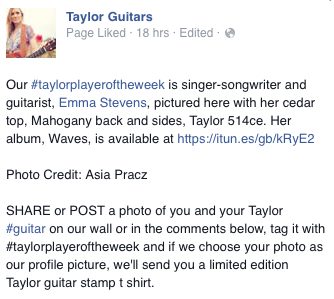 Thanks so much to Taylor guitars for choosing my photo (taken by Asia Pracz) as their Facebook profile picture and crowning me “Player of the Week”…. It means so much to me!!! I’ve been playing Taylor Guitars for a while now, they’re incredible!